It's not only the UFC that is producing mouth-watering MMA clashes throughout their respective divisions, with Bellator now giving fans another epic showdown to look forward to early next year. 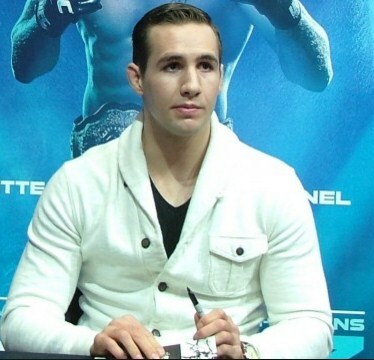 Rory MacDonald became a fan favourite during his time with the UFC, being involved in plenty of brutal wars with in the organisation. Most notably, his epic five-round scrap with fellow bruiser Robbie Lawler back in July 2015 was a gift to behold for fight fans in search of an all out blood and guts tear up on American soil. After back-to-back defeats to Robbie Lawler and then Stephen Thompson, though, the gallant Canadian left the UFC to pursue new fortunes with Bellator, and it's a move that has so far paid off. In London during May of this year, MacDonald stormed to an impressive debut victory in his new roster, as he submitted a game Paul Daley with a well-placed rear-naked choke hold in the second round of their encounter on English territory. After that maiden win, the 28-year-old had his sights set on a world title shot and he has been granted exactly that for January 20th, 2018, when he will collide with current champion Douglas Lima. At the world famous Forum in Inglewood, Bellator will hold this intriguing welterweight scrap, as the pair prepare to trade blows in what is sure to be another incredible match-up. Followng what has already been a superb year for fight fans, both in boxing and MMA, there is seemingly much more to come following the turn of the New Year. A rematch of the recent meeting between Saul 'Canelo' Alvarez and middleweight kingpin Gennady Golovkin will likely steal the headlines in the squared-circle, with the latter Kazakhstan being the current favourite with bet365 in the latest boxing odds. But before that is agreed, Bellator will provide an interesting welterweight scrap, with the world title on the line in the United States. So there is already plenty to look forward to in 2018, along with a host of superb scraps still on the horizon for the remainder of the current year in both boxing and MMA. Former UFC star MacDonald will be aiming to be crowned title holder in his new surroundings in what will be only his second outing in the organisation. But he has already showcased the skillset and credentials required to reign supreme at 170lbs in his new roster. The Canadian brawler faces a tough task, though, againat a very testing champion, who has successfully defended his 170lbs belt already in 2017 thanks to a decision victory over past challenger Lorenz Larkin. The Brazilian champion won his belt last year when stopping Andrey Koreshkov inside three rounds in what was a sublime performance in Israel. Will he be too much for MacDonald in their highly awaited clash in January next year? Or will the Canadian challenger continue his fine form since swapping UFC for Bellator? All will be revealed on January 20th.